If you wish to join the Meals on Wheels team or make a donation be sure to check out their website here. A water pipe in the Lehigh Valley Meals on Wheels office failed and resulted in significant water damage. 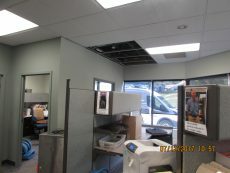 The water from the broken elbow pipe burst out and rushed into the office space, flooding most of the carpeting and destroying several of the walls in the office. 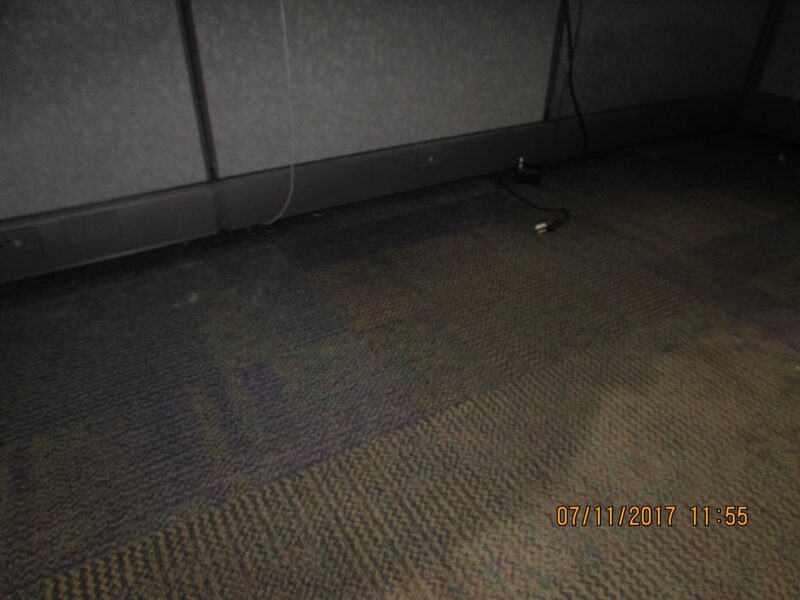 The moisture from the water seeped into the corners of each of the cubicles. 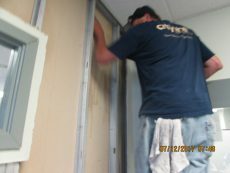 With the offices in disarray the Meals on Wheels team called on Cityline Construction for help. This organization has been part of the Lehigh valley community for decades. The good it does for many of the home-bound seniors citizens is irreplaceable. With the help of a network of volunteers they deliver food to home-bound seniors throughout the community. This free service provides the opportunity for many of these seniors to have access to quality food and most of the time this is the only source of food these senior citizens have. 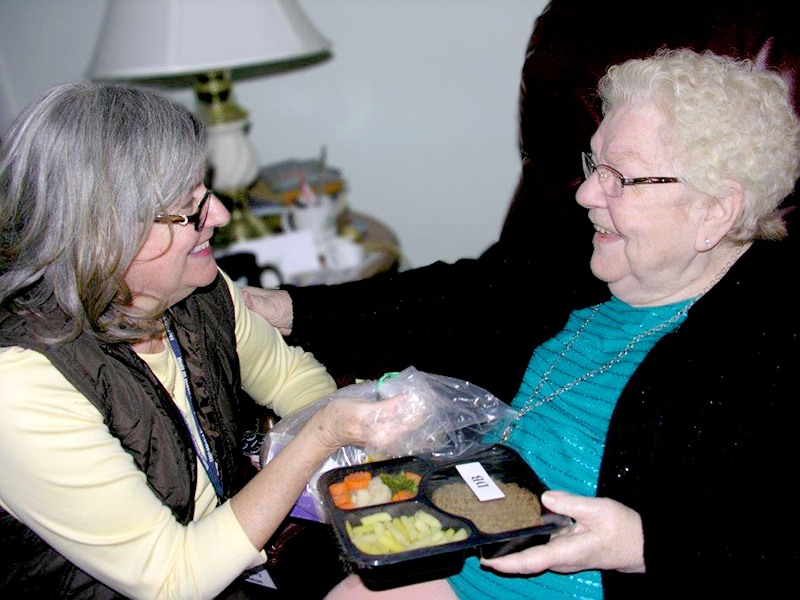 The ingredients meals on wheels delivers help to keep a feeling of independence for their clients. When we started our decontamination and restoration work in their offices, it was easy to see the dedication each and every staff member had to helping these senior citizens keep there independence. To help out the office with staying on task we worked quickly to restore functionality to the head office. At the same time we set up temporary work spaces for the helpers whose desks were water logged. This included getting computers up an running and setting up a temporary power supply for the office computers to run while we worked to restore the office. In general, an office space lends itself to be a tricky situation as there are lots of hard to reach corners and easy to miss areas where water can pool up and cause significant damage if left unchecked. That is where the expertise Cityline Construction offers is vital. It is not only the initial cleanup that is of importance it is the lasting effects of our efforts. With any water damaged property, this means taking extra steps to prevent the growth of mold and bacteria. The significantly damaged part of the building required replacement of drywall panels and walls along with a replacement of carpeting. After finishing the installation of the new dry wall and carpeting the piping was examined to make sure there would not be another flood a week later. With the offices restored the work spaces were reassembled to the way they were before the pipe failure. At Cityline we appreciate the work done by Meals on Wheels and wish them nothing but the best with their continued efforts to helping the community. If you wish to join the Meals on Wheels team or make a donation make sure to check out their website here.